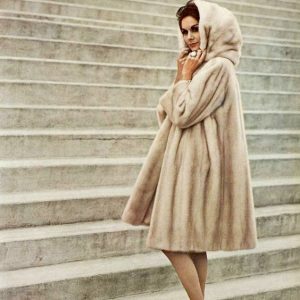 Recently we have received a number of vintage coats for reworking, in particular one very special fur coat. 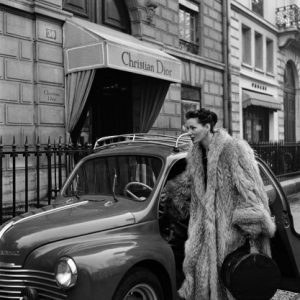 We noticed “Christian Dior Furs” written on the coat’s label. 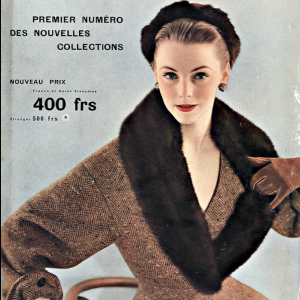 You can imagine our gasps of excitement after realizing we came across an authentic Christian Dior vintage fur coat: This particular Dior coat, dating back to the 1950s, is a dark brown mink fur coat and still in excellent condition. 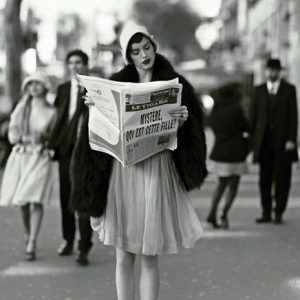 The French designer was one of the most popular fashion designers in the world. From the end of the 1920s, he initially worked as an art dealer in Paris. In the 1930s, Christian Dior expanded his field of activity with his own creative work: He designed his first fashion sketches for a magazine and began working as a designer for Parisian fashion houses in 1938. Dior celebrated his international breakthrough in 1947 with the “NEW LOOK”and the “Bellflower Line“, which made him the leading couturier of the 1950s. He launched his “HAUTE FOURRIER COUTURE” a.k.a. 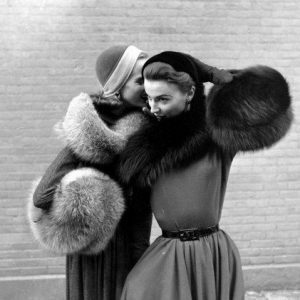 Christian Dior Furs line in 1949. Bythe way, Dior made the young Yves Saint Laurent his assistant in 1953. After only ten years in the public eye, Dior died at the height of his career in 1957 from a heart attack at the young age of 52. Although he died at an early age, his influence continues in the fashion world until today. Dior still showcases Dior’s „NEW LOOK“ silhouettes and continually pays homage to him. P.S. 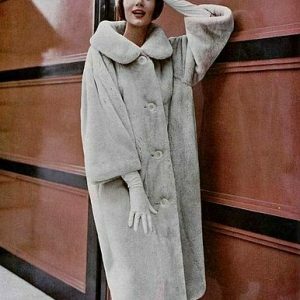 The already reworked Dior vintage Coat belongs to a client who got the mink coat from her aunt. We highly appreciate to transform this souvenir into an Original enVie M78 Parka – Photos will follow! 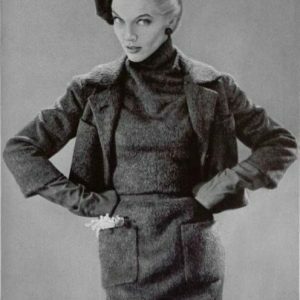 During World War II, masculine silhouettes dominated women’s fashion and clothing styles represented the darkness and restrictions resulting from the war. Clothing rations limited the variety of materials available to women, ushering in a very practical and simple fashion style. Women’s fashion began to reflect a military look with its short jackets, narrow skirts, and tailored suits as these required less fabric. Practicality became especially important during this time for women as they found themselves quickly entering the workforce to replace the positions previously held by men before the war. Women required sturdy clothing while working, popularizing clothing styles that resembled uniforms. Utilitarianism quickly replaced the emphasis of curves. 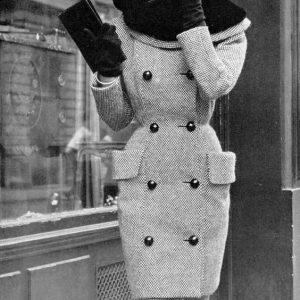 After the war, society was ready for a change in fashion in order to move away from the restrictions wartime brought. 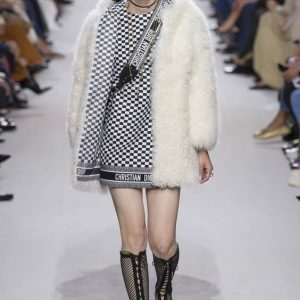 Christian Dior, one of the most iconic fashion designers of the world, especially desired this change. He perceived the popular utilitarian silhouette as a loss of femininity and sought to reintroduce seduction and glamour into women’s wardrobes and lives. 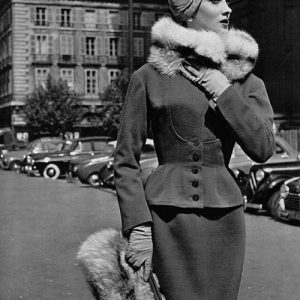 On February 12, 1947 Dior showcased his first collection, which quickly became known as the “New Look”. His collection accentuated a woman’s curves with cinched waists, emphasized bust lines, and voluminous hips, embodying his goal to fit clothing to the female body’s shape. 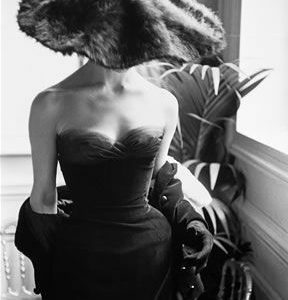 Dior believed his “New Look” could not be achieved without the appropriate accessories, which led to the establishment of Dior as a global enterprise.